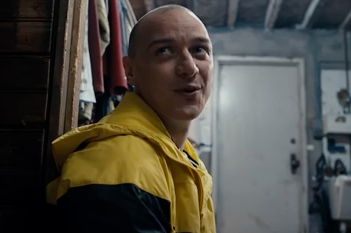 M. Night Shyamalan shook off the rust earlier this year with psychological thriller "Split," a supernatural spin on the complexity of multiple personality disorder that inspired newfound appreciation from skeptical critics. It's hardly a surprise anymore when the Penn Valley native features Philadelphia in his films. It's expected at this point. Some of the final scenes in "Split" left us with a harrowing glimpse of a subterranean labyrinth at the Philadelphia Zoo, only to cut to the cliffhanger of Bruce Willis at a diner in character as David Dunn. In April, Shyamalan announced that his next film, "Glass," will be a meeting of world's between "Split" and his early hit "Unbreakable." Yes, the title is an allusion to Samuel L. Jackson's sinister character in the first part of the trilogy. He will be a focal point in the new film. On Sunday afternoon, Shyamalan tweeted that rehearsals for "Glass" will be held in Philadelphia in the coming days. The film's producer, Jason Blum, recently spoke to SyFy about how "Glass" will blend the genres and narratives of the first two films. "It’s a kind of superhero movie, for sure," Blum said. "I do consider it that, yeah. It’s very different. I would say it’s not a Marvel movie, but a superhero movie." "Following the conclusion of Split, Glass finds Dunn pursuing Crumb’s superhuman figure of The Beast in a series of escalating encounters, while the shadowy presence of Price emerges as an orchestrator who holds secrets critical to both men." Considering where "Split" ended, it's entirely possible that Philly will have an on-screen role of its own in "Glass." The project has been in the works for 17 years. If this is meant to be Shyamalan's masterpiece, it would make plenty of sense that the local director wants his hometown to enjoy more than a passing cameo.